"show that the U.S. National Home Price Index declined by 3.9% during the fourth quarter of 2010. 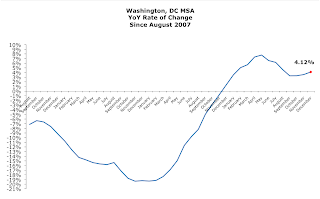 The National Index is down 4.1% versus the fourth quarter of 2009, which is the lowest annual growth rate since the third quarter of 2009, when prices were falling at an 8.6% annual rate. As of December 2010, 18 of the 20 MSAs covered by S&P/Case-Shiller Home Price Indices and both monthly composites were down compared to December 2009." 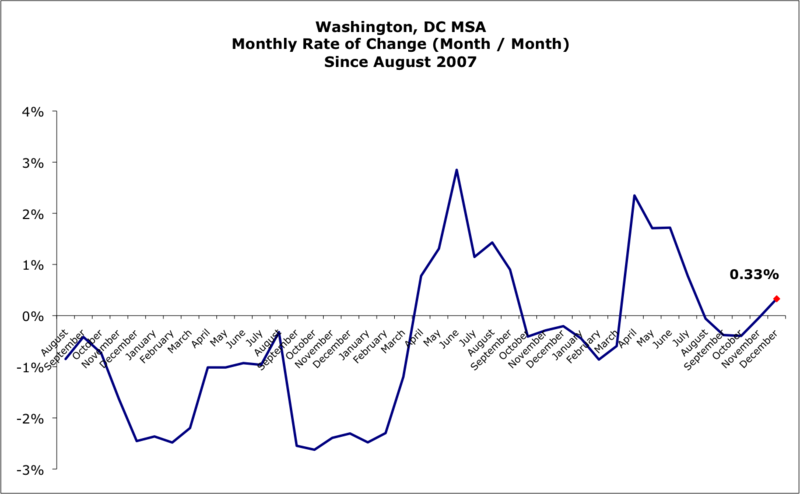 Only DC and San Diego experienced price growth compared to December 2009. 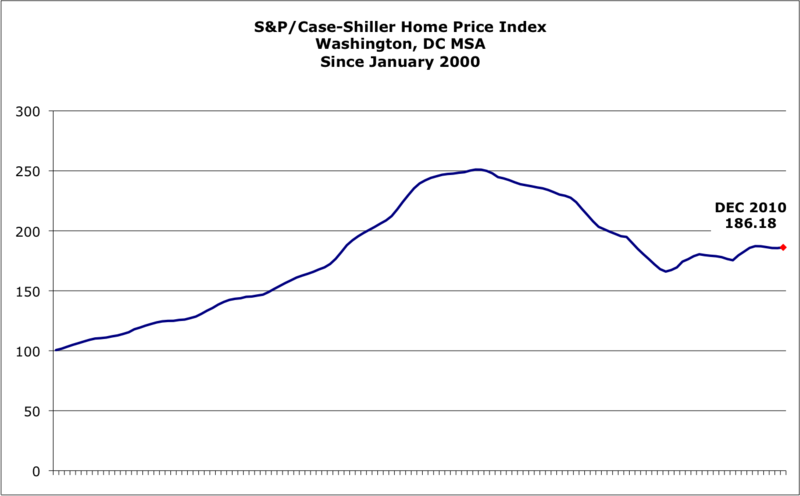 The S&P/Case-Shiller graph depicts what may be a double dip in housing prices. 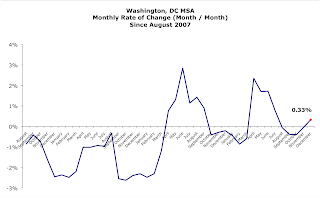 "The National Index is within a percentage point of the low it set in the first quarter of 2009. Despite improvements in the overall economy, housing continues to drift lower and weaker.” says David M. Blitzer, Chairman of the Index Committee at Standard & Poor's. YoY, DC prices rose 4.12%. However, prices were flat for the June - December period, rising only 0.22%.